The Sherwood is a newer chalet style vacation home consisting of 4 bedrooms plus a loft and 2 baths with large shower stalls. 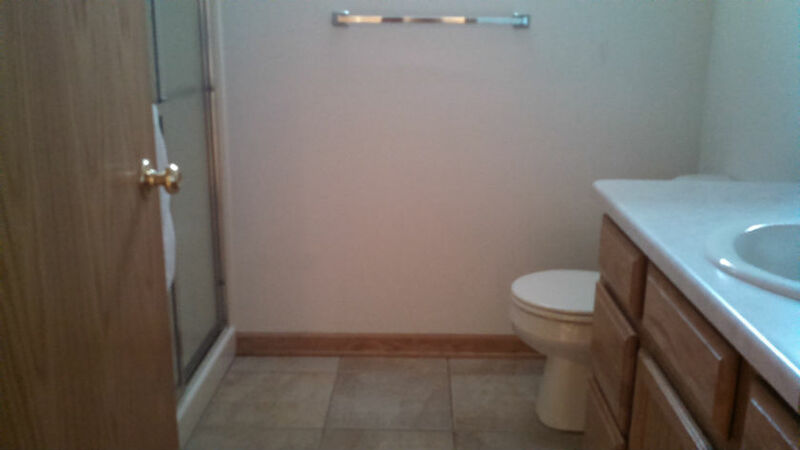 Two bedrooms are on the 1st floor, and one of the baths with large shower. 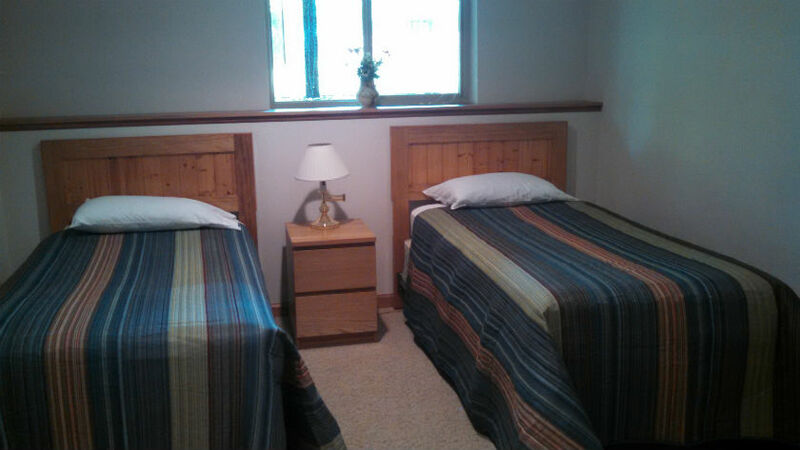 One bedroom has a king size bed, one has a queen size beds. 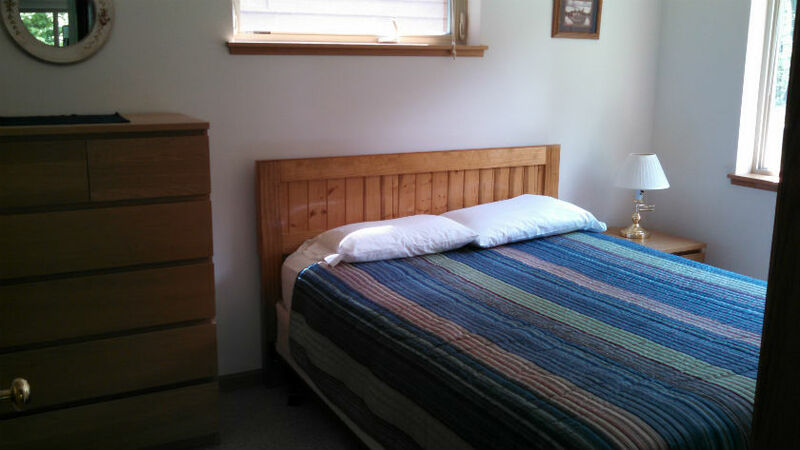 The lower level has two bedrooms with a set of twin beds each, a bath with large shower, and the laundry room with washer and dryer. 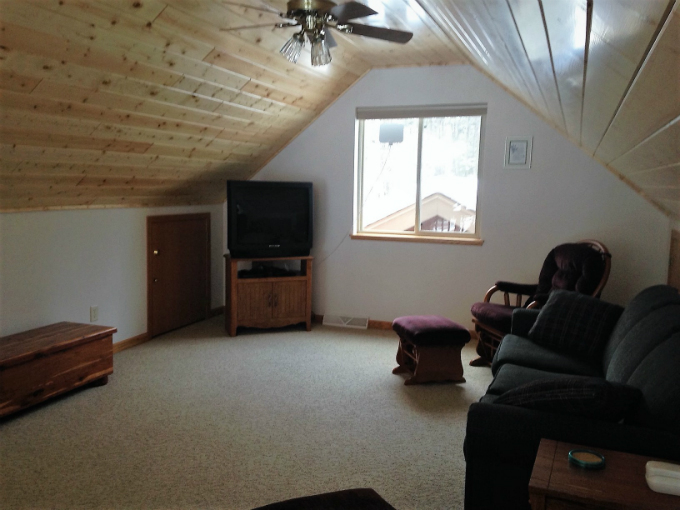 There is a sleeper sofa in the large loft overlooking the great room as well as a second TV. The home features an open concept kitchen, dining area, and great room with a gas fireplace and patio doors leading to the large wrap around deck with patio furniture and Weber grill. 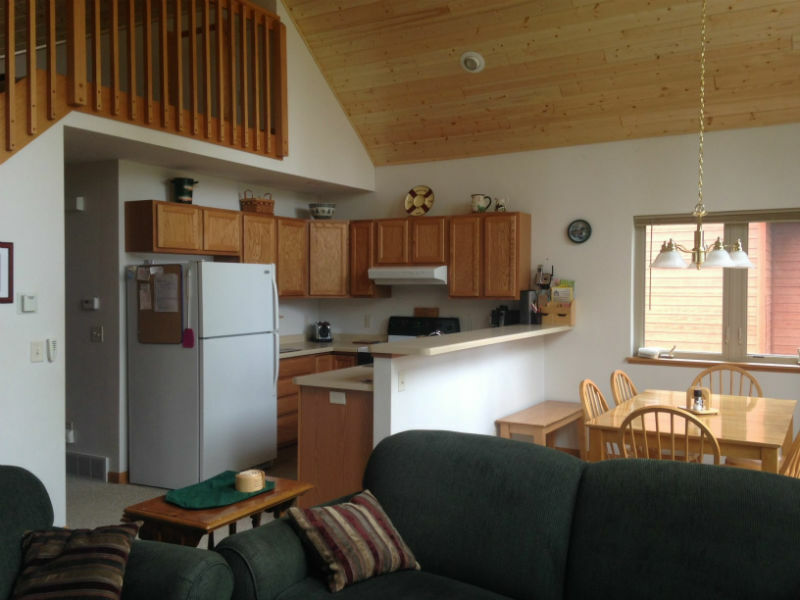 Sherwood has a complete kitchen with refrigerator, stove, microwave,dishwasher, cooking and eating utensils. This home has satellite TV & DVD player, ceiling fans, and central air conditioning for added comfort. All bed linens are provided, please bring your own towels. * The standard rate is for up to 8 people, 2 additional can be accommodated on the sleeper sofa for an extra charge. 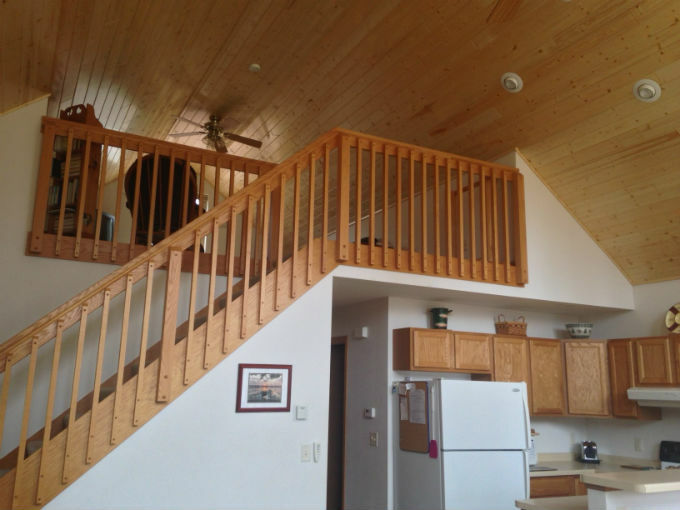 This home can also be rented as a 2 bedroom, 1 bath by locking off the lower level, if other small cabins are booked. Call for rates. SHERWOOD IS A NO PETS, NO SMOKING UNIT! The rental rate is based on the standard occupancy. When occupancy exceeds the standard of 2 people per bedroom, extra person charges of $20 per day or $100 per week will apply. Children of all ages are considered regular occupants. A limited number of pack & plays and high chairs are available free of charge. Summer weekly rentals run from Saturday to Saturday. In the off season we can offer more flexible arrival days. 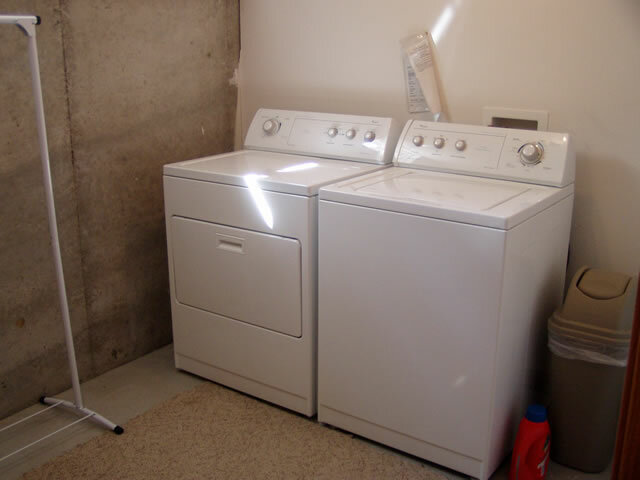 Daily rentals are subject to a 2 or 3-day minimum charge. Check in after 3:00pm and Check out by 9:00am. Please do not arrive early or stay late. 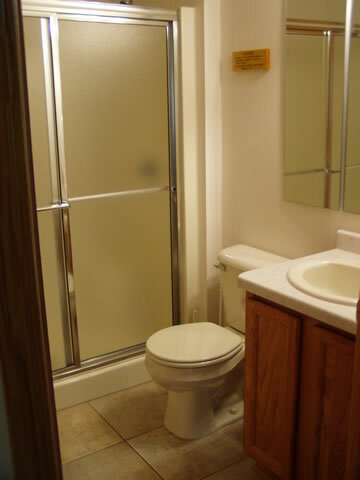 We pride ourselves in providing extremely clean facilities and this time is required to perform all necessary tasks! An extra fee will be charged if these times are not strictly adhered to. Off-season we may be able to be flexible with the check-in/out times with advance approval. 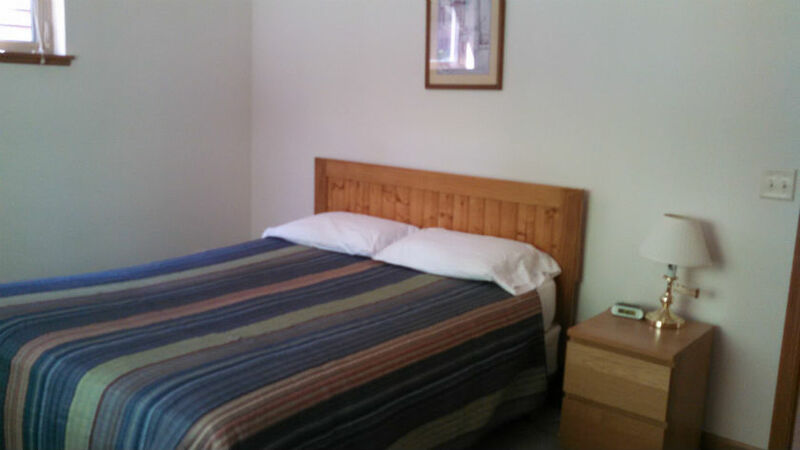 Bed linens - sheets, pillowcases, pillows, blankets and bedspreads are furnished at no charge. Bath towels and toiletries are NOT provided. Coffee filters, dish soap, soft soap, and a starter supply of toilet tissue and garbage bags are supplied. All kitchens have full size stove and refrigerator, microwave, dishes, pots and pans, and utensils. Pier space to dock your boat is provided. For those bringing more than one boat- we will do our best to accommodate additional boats but it may have to be further from your cabin. Weber grills, picnic tables, lawn furniture, firewood, boat cushions, and life jackets are furnished at no charge. Canoes, kayaks, paddle boat, and bicylces are provided free of charge to resort guests. Additional rental items include outboard motors, fishing boats, pontoon boat, personal watercraft. See your specific unit's information for additional items that may or may not be included. Daily maid service is not provided. A vacuum cleaner, broom, dust pan, cleanser, and dish soap are provided for tidying up thoughout your stay. You are expected to leave the home reasonable clean. Prior to departure please: Place all accumulated trash and recycling outside in the Rubbermaid bins. Wash, dry, and put away all dishes. Empty refrigerator and cabinets of open/leftover food. Sweep kitchen floor. Check that you have not left any personal items behind. Small pets are allowed in Driftwood and Cedarwood in the off season with prior approval. 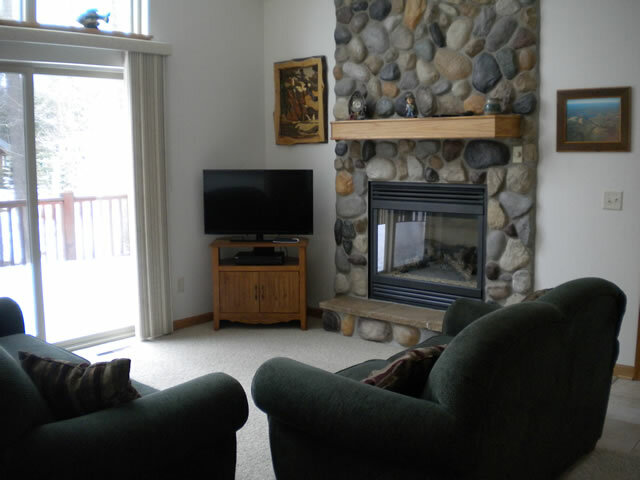 With prior approval guests staying at the Sand Lake Home may bring pets at all times. We ask that owners clean up all pet waste. Please do not leave your pets alone in the cabins for extended periods of time. For the comfort of future guests, please do not allow your pets on or in the beds. If pets are allowed on furniture we ask that you cover them with old sheets which we will provide, pet hair is difficult to remove from furniture and bedding. Owners are responsible for any damages and extra clean charges caused by their pets. Smoking- Is premitted outside only. Please properly dispose of cigarette butts. smoking is prohibited in all lodging by state law and a fine of $ 250 will be charged to your account for any smoking in the unit so that we may properly clean the room for the next guest. Fireworks of all types are strictly prohibited! This includes sparklers. There is no life guard on duty. Swim at your our risk. Children under 8 must be supervised by an adult while at the beach. No smoking or glass on the beach please. No boats allowed in the swim area between the two large piers and the swim raft. In order to maintain a peaceful resort, quiet time is from 11:00 pm to 8:00 am. At all times, guests shall conduct themselves in a manner that does not create excessive noise, or disturb and annoy others. Day Guests: You are welcome to have guests visit during the week. Please limit day guests to one day during your stay. Visiting guest hours are limited to 8:00 am to 10:00 pm. A speed limit of 10 miles per hour shall be obeyed on all roads within the resort. Resort beach and amenities are only available to guests renting on the resort property. Please see private home descriptions for what is provided at that home. RESERVATIONS - A non refundable $500 deposit for weekly reservations or equal to one nights rent for daily reservations is required at the time the reservation is placed. Please be certain of your dates and cabin choice when making your reservation. Deposits are valid only for the specified dates and cabin chosen. Deposit amount will be applied to the last night reserved. We accept VISA, MasterCard, Discover or personal checks for deposits. SECURITY DEPOSIT - A valid credit card number must be on file upon check in. 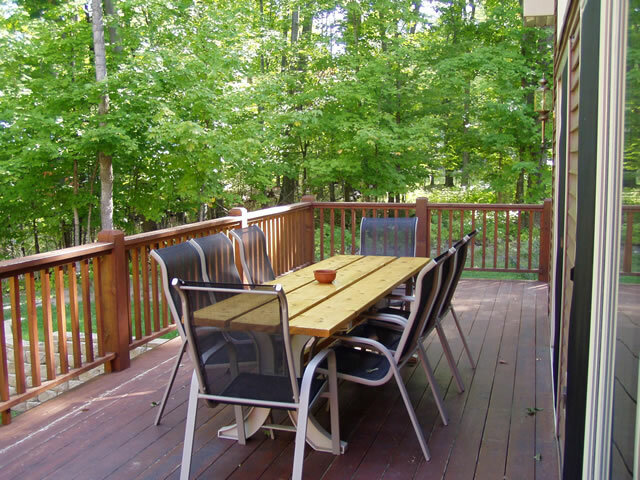 In the event damage is done to resort property, your particular unit or if the cabin requires additional cleaning (dirty dishes, undue litter, pet messes etc.) we reserve the right to charge your account accordingly. CANCELLATIONS - Our cancellation policy is intended to be fair to our guests and protect our cabin owners and managers from loss of revenue. Once a cabin is reserved all other requests for that cabin are refused. If you must cancel or change your reservation, a $100 service charge will be deducted from your deposit. If we are able to fill the vacancy for the entire time reserved and at the full rental rate, the remaining balance of the deposit will be applied to another reservation with us. We will honor your credit for up to one year. If we are unable to fill the vacancy there will be no credit given. Sorry, no refunds for late arrivals or early departures. Watercraft deposits will be applied to your remaining cabin balance provided cancellation is made at least 30 days prior to arrival date. 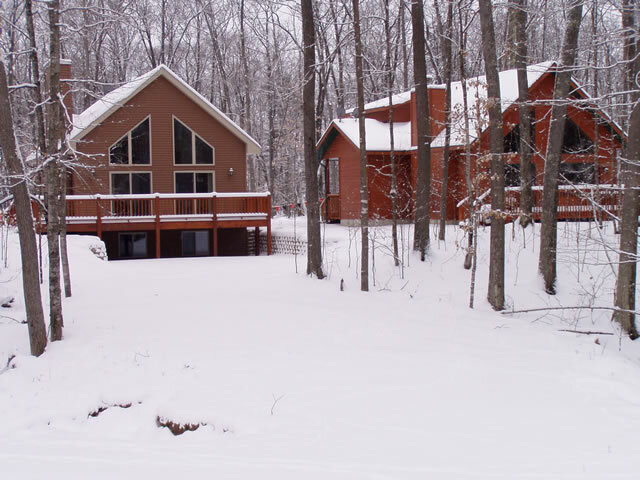 SNOW CREDIT - Winter cancellations due to lack of snow (trails must be closed) your entire deposit will be credited to another reservation with us. We will honor your credit for up to one year. Snow credits do not apply to Christmas, New Years, Derby week, or Pond Hocky Weekend. FINAL PAYMENT - We appreciate final payments made by check or cash. Payments by credit card will have a 3% surcharge added. For daily guests please pay the balance due upon arrival. Weekly guests may pay their balnce due upon arrival or if you wish we will run a tab for an extras like gas or watercraft rentals. Please settle up all bills by 4:00 pm the day before departure. By placing a reservation or occupying the home you are accepting the policies above. The registered party will be held resposible for all in the group. 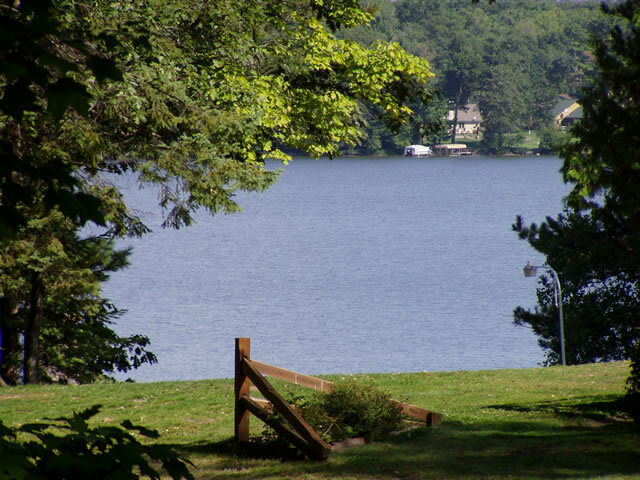 Everything you need to relax and enjoy yourself is right at Maplewood Resort in Eagle River, Wisconsin. 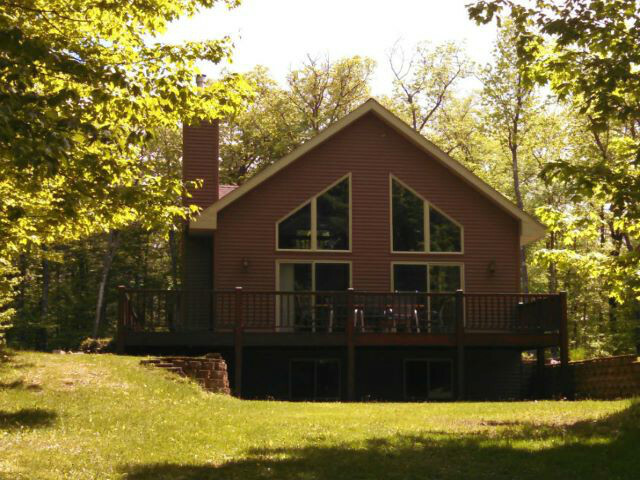 The view, swimming, fishing, skiing or snowmobiling are only a few steps away for your rental cabin or home.